When a homeowner is looking to revitalize the look of his washroom with designer bathroom accessories, perking up the look of the toilet paper roll is probably down on his list of priorities. However, Kimberly-Clark Inc. looks to change all that by offering a line of toilet paper roll covers that can add a decorative touch to your backup rolls, according to Boston.com. Most toilet paper rolls are stacked on the back of your toilet when not in use, so Kimberly-Clark saw an opportunity to release a set of limited edition boxes in gorgeous designs that can spruce up the look of a bathroom. "It's just surprising when design finally meets toilet paper - that's sort of the final frontier," Allen Adamson, managing director for the global branding firm Landor, told the news source. The new toilet paper covers can be found in many home goods stores and come in three geometric designs that can adhere to most design schemes. These new products highlight the decorative potential that can be found in any bathroom item. 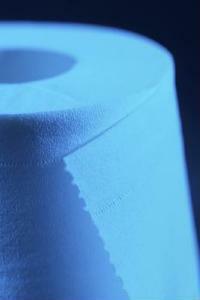 Would you use toilet paper roll covers in your washroom?